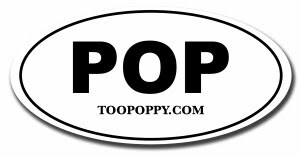 Too Poppy: Will You Help Me To Understand? Will You Help Me To Understand? There is an overwhelming propensity for the pop world to destroy its nearly perfect songs by continually recasting them, either by use in soundtracks or by cover versions. This is currently happening to Joseph Arthur's In the Sun. I first became concerned when it was prominently featured in the movie Saved. It seems the spirituality of the tune ("may God's love be with you") leads to its ubiquity when some commentary on religion is required. Usually, that's just lazy scripting. But in that movie, the song was still fresh and it was done well. Then I started to hear it pop up on TV. I think ER or West Wing or both have used it at least once. Finally, or so I hoped, I heard it on Austin City Limits when Chris Martin of Coldplay irritatingly called out his favorite Michael (Bolton wasn't available - ha ha, Chris), Stipe, to sing it. I wanted to like it because I like Michael (Stipe, not Bolton - ha ha, 2poppy), but I just couldn't. The song is too good and the setting just wasn't right. I also felt Stipe just wasn't that into it. Well, I must have been wrong because now, Michael Stipe is releasing six different versions of it via iTunes on Sunday. And a song of such magnitude couldn't be released just for the hell of it. Nope, Stipe has to pull a Jacko and release it for a charity (in this case, Gulf Coast Relief). Hey, I'm all for it, but I just hate seeing a great tune slowly being eroded by good intentions. Sigh. At least Arthur himself is featured on Mix 3.